Mariners' star Robinson Cano has personally hand-signed this MLB Baseball-Cano is simply the best second baseman in all of Baseball, a lifetime.300+ hitter who has a rare combination of power and finesse Robinson Cano flashes brilliance on a near daily basis with both his bat and his glove. After 9 years with the New York Yankees which saw Cano become one of the best players in the game, Cano joined the Seattle Mariners prior to the 2014 season. Cano in his career is a five-time All-Star (2006,2010-2013), a five-time Silver Slugger Award winner (2006,2010-2013) and a two-time Gold Glove Award winner (2010,2012). 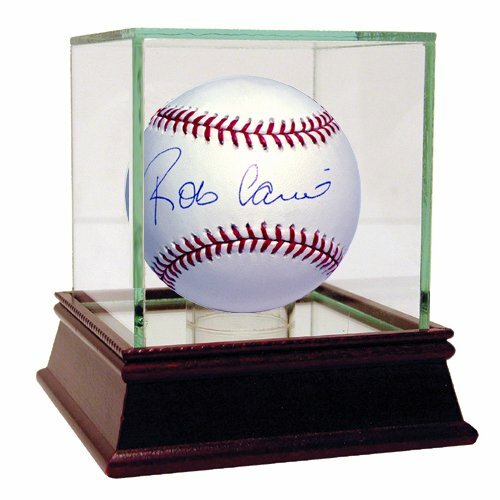 This Robinson Cano Autograph is Guaranteed Authentic and includes a Steiner Sports Certificate of Authenticity and accompanying tamper-evident Steiner Hologram. View More In Photo Baseballs.